Surfrider Foundation Australia has released a print advertising campaign connecting human tragedy with pollution in the ocean. 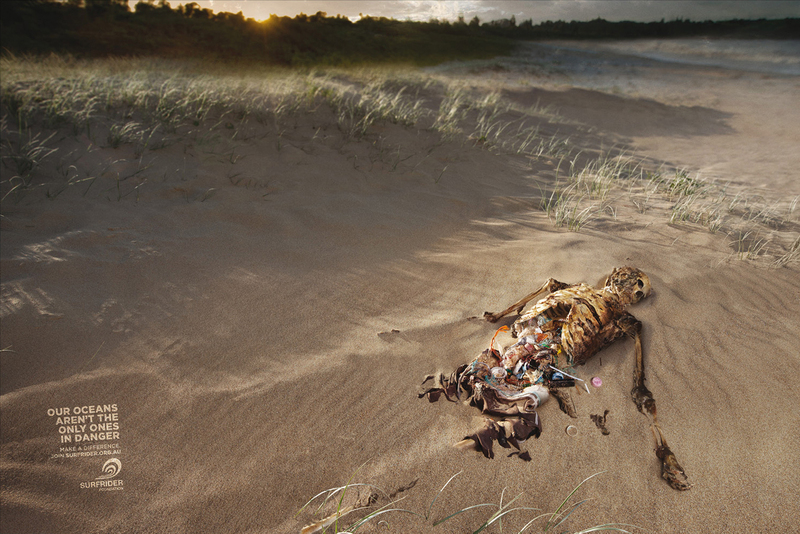 Human corpses are connected with a plastic beer ring, plastic debris and an oil spill. 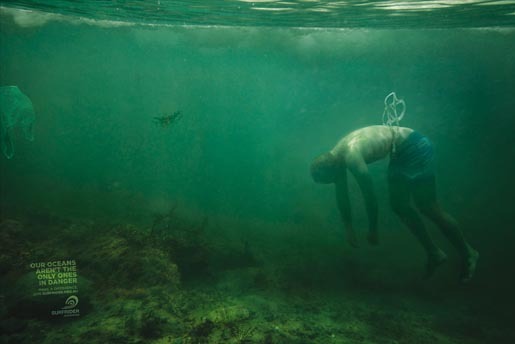 “Our oceans aren’t the only ones in danger”. The Danger campaign was developed at Leo Burnett, Sydney, by executive creative director Andy DiLallo, creative director Mark Harricks, art director Brendan Donnelly, copywriter Guy Futcher, photographer Adam Taylor, with retouching done at Cream Studios.